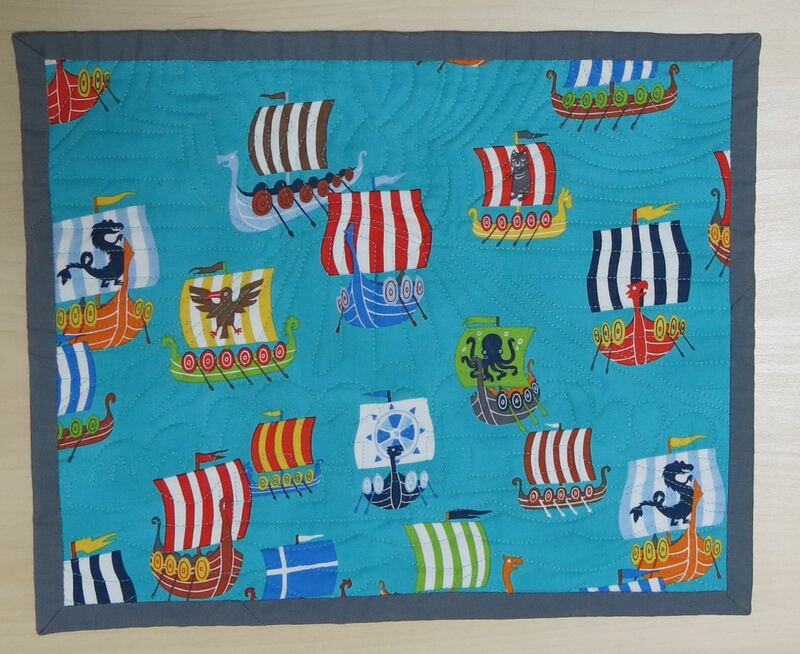 My local modern quilt guild recently held a mini quilt challenge. Everyone got a magazine and had to make a quilt inspired from page 25, with the final quilt perimeter measuring 48-60 inches. We recently moved, and in the upheaval I lost my page. 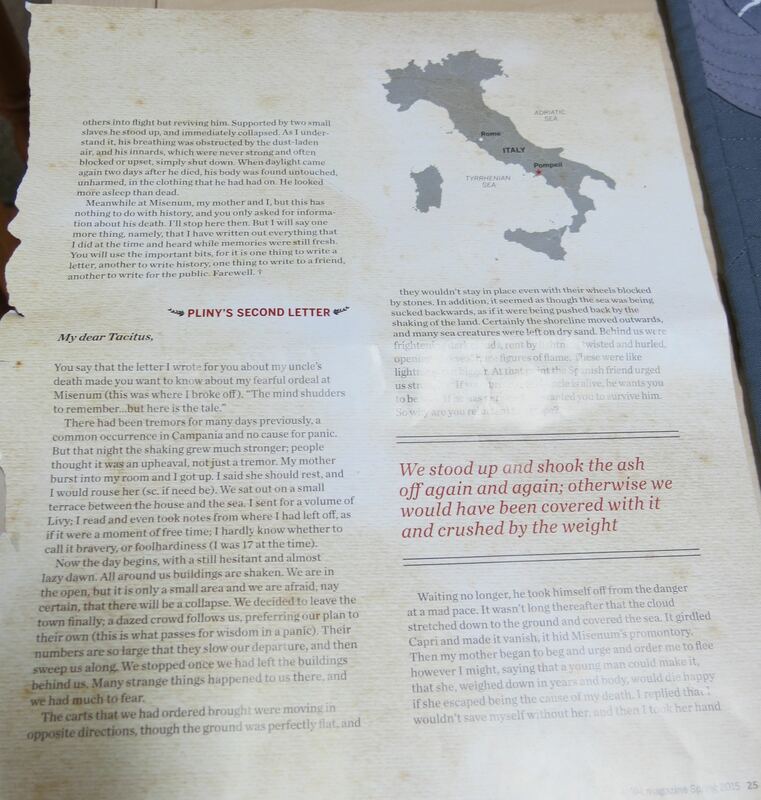 I took the closest magazine handy and tore out page 25, which turned out to be about an upcoming museum exhibit on Pompeii. It’s mostly text. I decided to use my new found love of curves (ha!) to make an image to represent the eruption of Vesuvius. I made a lot of little circles in different shades of grey for the smoke from the eruption. 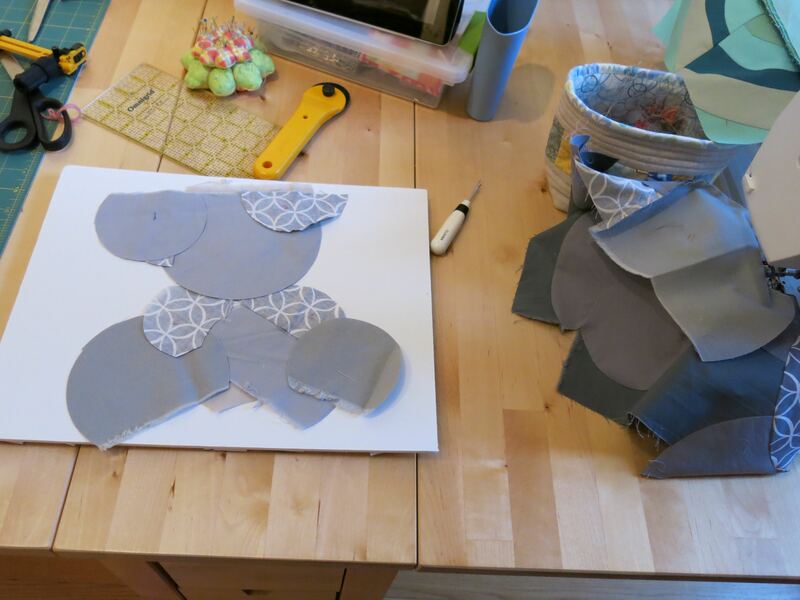 I sequentially sewn in a circle, then cut out space for the next circle. I cut out the bottom of the mountain to look like people to be like the cavities they found left behind in the ash. I made it so these ‘cavities’ are looming over the unsuspecting city below. 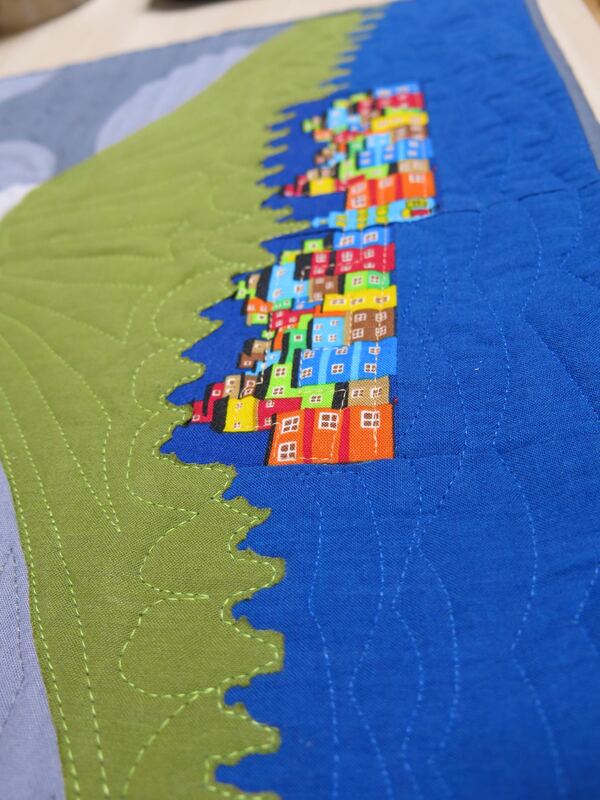 I have to say – cutting out those people and sewing along the edge was a pain. I started regretting it about a quarter of the way in. I am happy with the result though, now that it’s done! 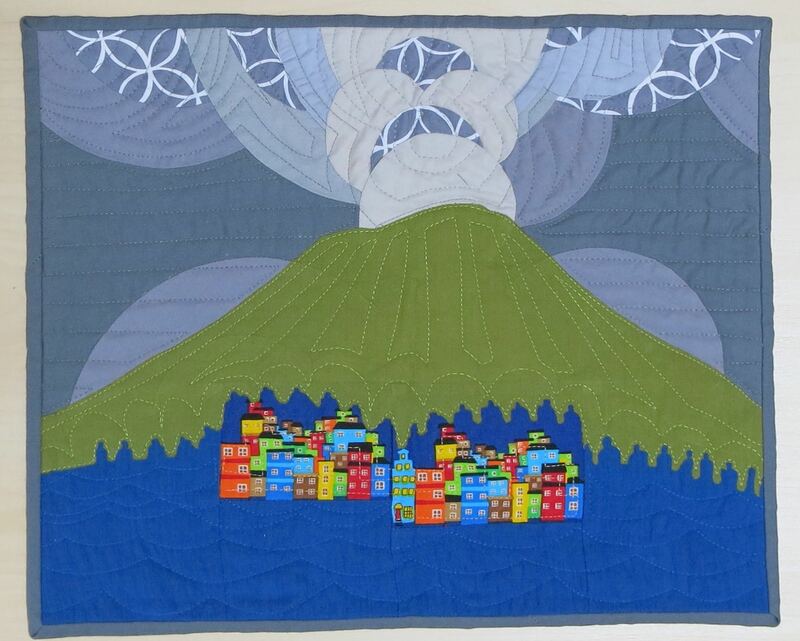 I used quilting to emphasize the turbulence of the eruption as well as lines straight down the mountain to represent the pyroclastic surges thought to be responsible for most of the deaths. The back is a print of boats to show the people who tried to help the inhabitants of Pompeii. I didn’t win, but I had a lot of fun trying to come up with ideas and making the quilt! I’m definitely up for the next challenge! ← Expecting a new quiltuplet! Bravo Emily you are very creative! I also like your recent text conserning the I SPY quilt.